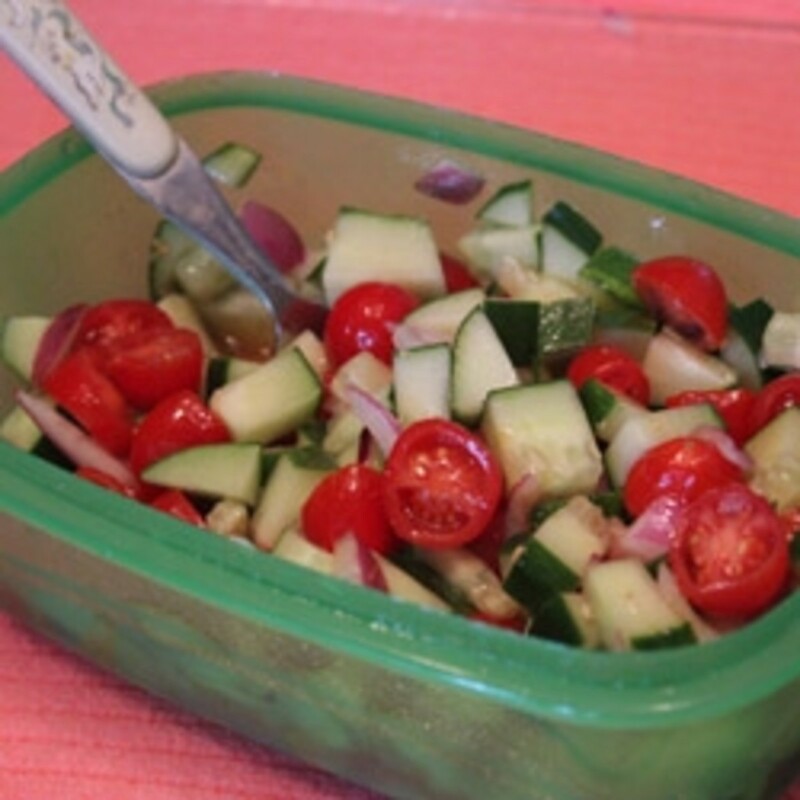 This tomato-cucumber salad is an adaptable side dish that can go with most any meal and is made from healthy foods. It's one of my favorite dishes for many reasons, which you can read below, if you like! The original recipe keeps for about three days in the refrigerator and actually tastes better as the ingredients have time to marinate. Dice the cucumber into about 1/2-inch squares. 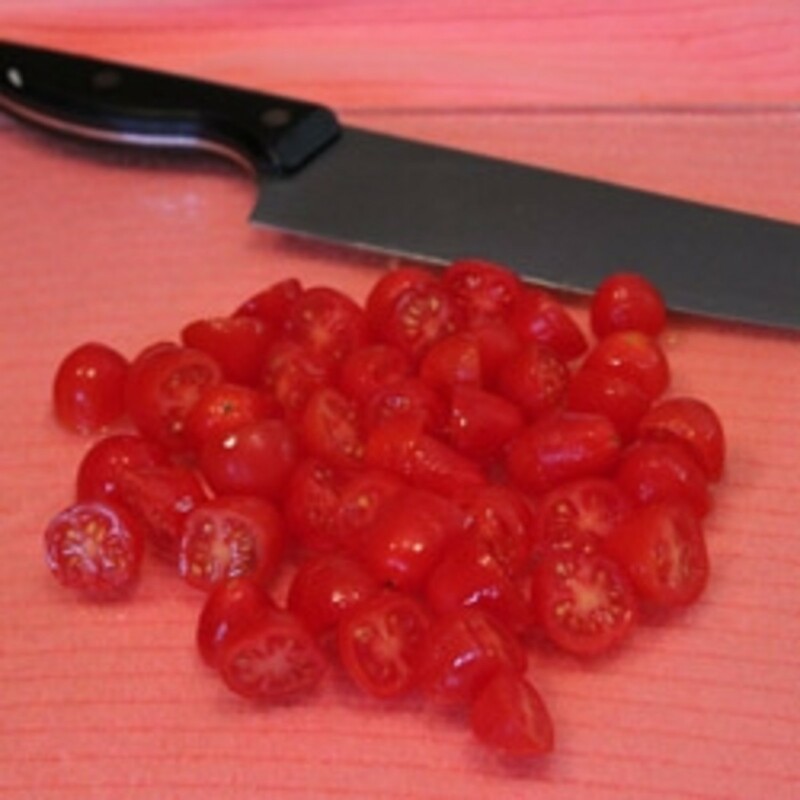 Cut the tomatoes in half or thirds, depending on size of the tomato and what size you like. Add the vinegar, olive oil, stevia, and garlic. Put the cover on the container, and shake until all the ingredients are mixed. Refrigerate until it's time to eat. 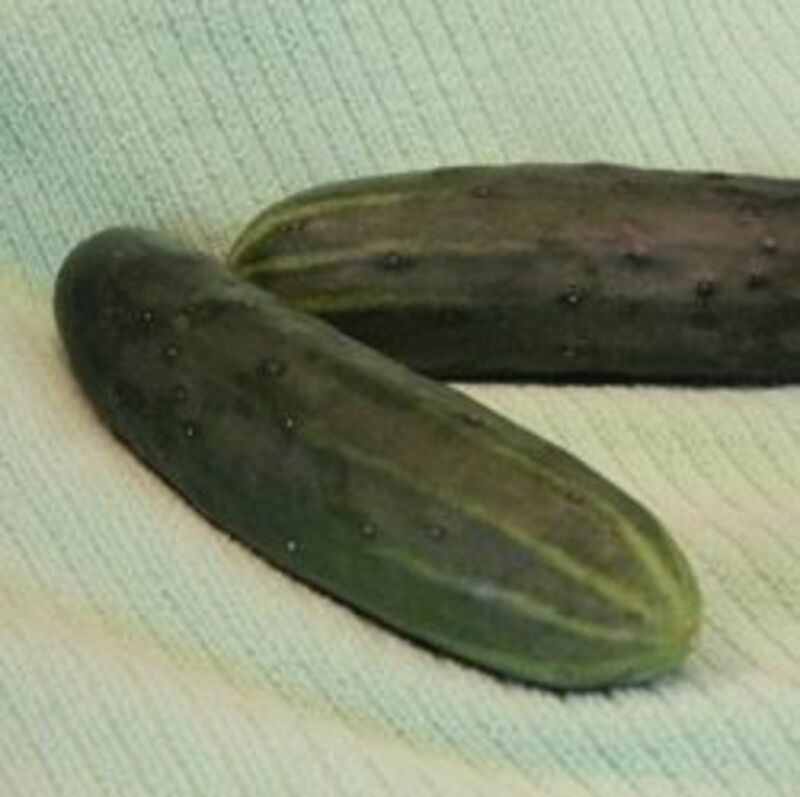 Dice the cucumber into 1/2 inch cubes. Cut the tomatoes into smaller pieces. Add the sweetener and grind in the garlic to taste. Cover the container and shake it until all the ingredients are mixed. You are all done. 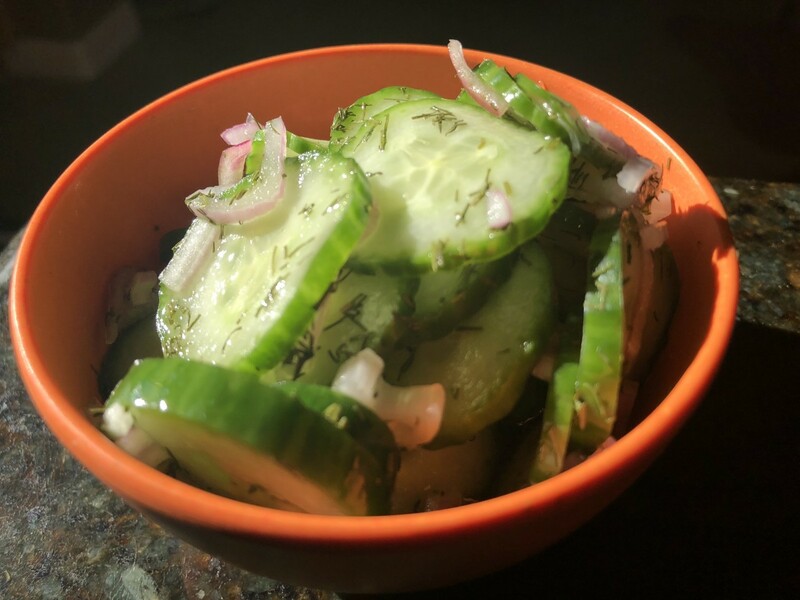 Fresh Cucumbers: You'll want to have fresh cucumbers that are juicy and crisp, preferably organic or at least locally-grown. 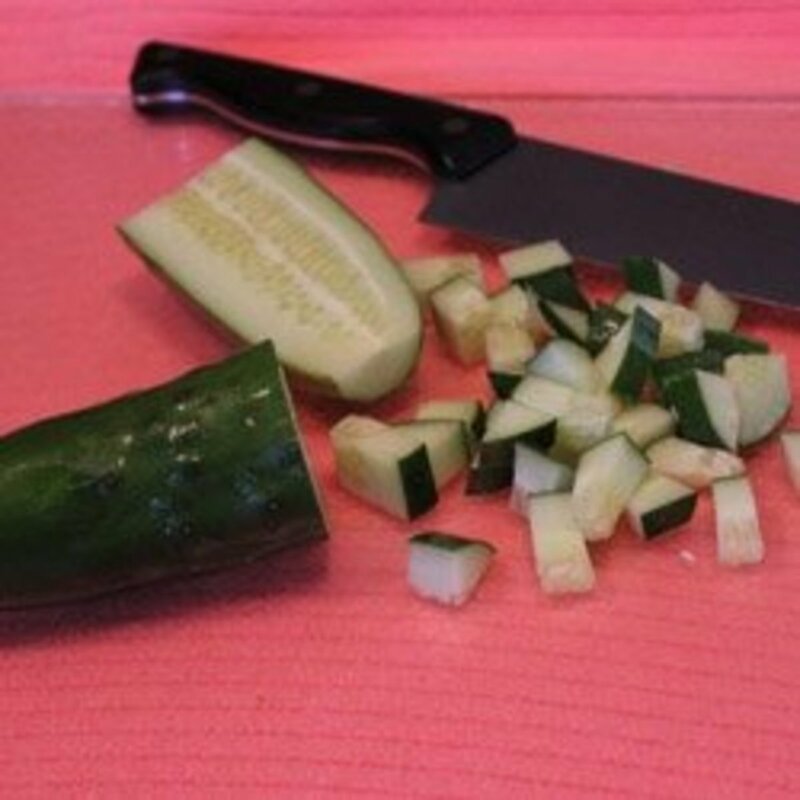 That way you can get all the nutritional benefits of the whole cucumber with no waxed peels to remove. Nice, Ripe Tomatoes: Get whatever variety that you like best. I prefer to use small tomatoes, such as cherry, cupid, grape, cherubs, or other favorites. They don't have to be red. You can add a variety of colors. I like to use whatever is in season so that I get the best flavors. 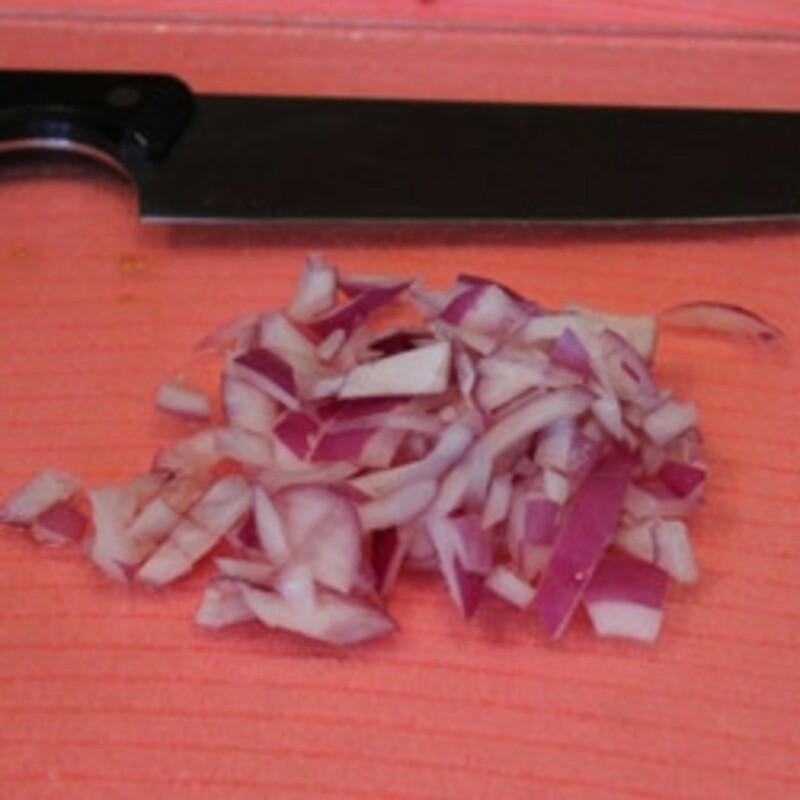 Fragrant Onions: Sweet onions are probably the best option, although certainly not your only one. I prefer a red onion, but that is totally just my preference. 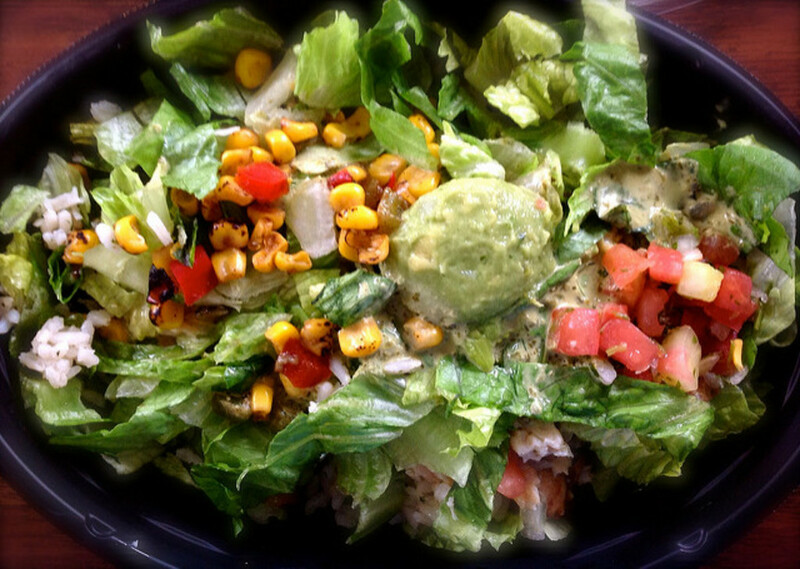 It is your salad; make it to your taste. Freshly-Minced Garlic: If you have fresh garlic available, that's the best. 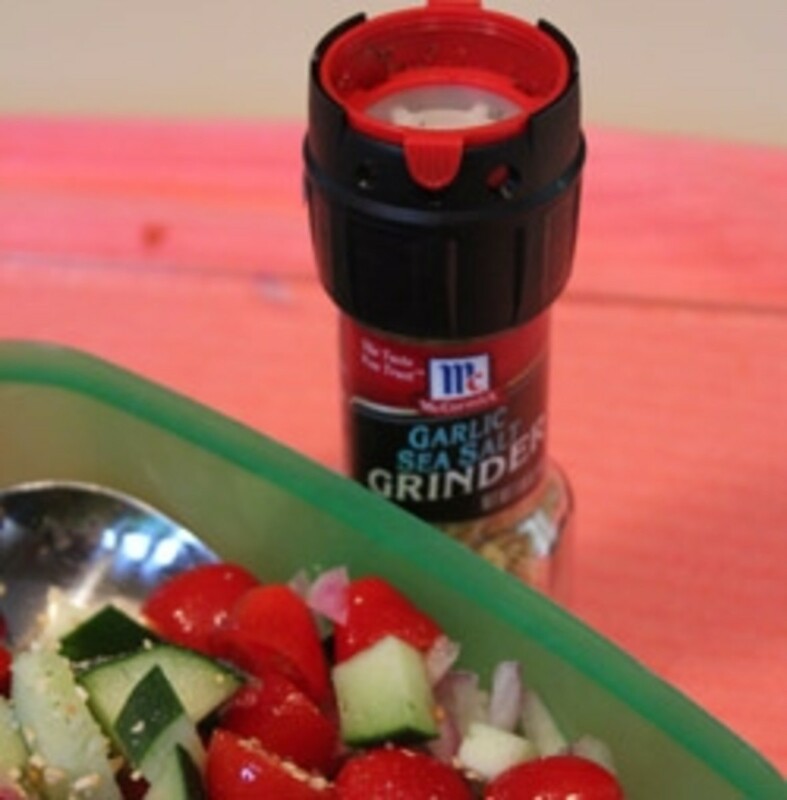 I don't always have fresh garlic, so I keep a McCormick Garlic Sea Salt Grinder handy. I use it just about every meal and really like it. Red Wine Vinegar and Olive Oil: These will round out the taste. You could use other vinegars and oils, but these are the ones I enjoy the most. 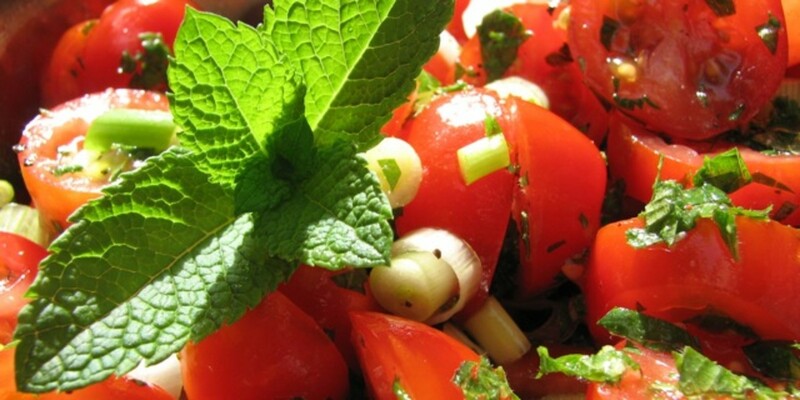 Stevia: To cut the sharpness of the vinegar, I add a little pure stevia extract powder to the salad. You can do the same thing with a little refined sugar, but I just try to avoid that as much as possible. The stevia extract comes with a very small scoop that is equal to one serving. You can also get stevia in a form similar to regular sugar, such as the Truvia and Stevia in the Raw brands. 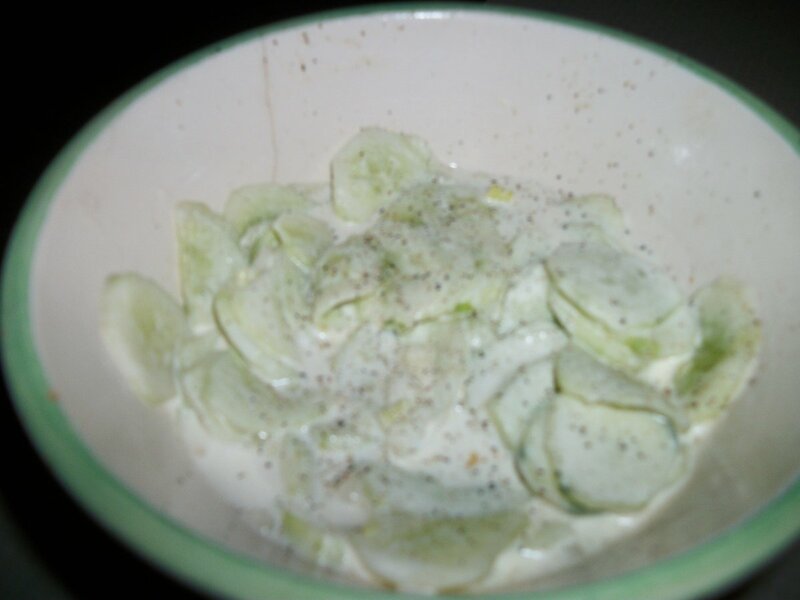 Now that you have the basic recipe, what else can you do with it to make another side dish? Here's some of the foods I have added to change the basic recipe to something new. 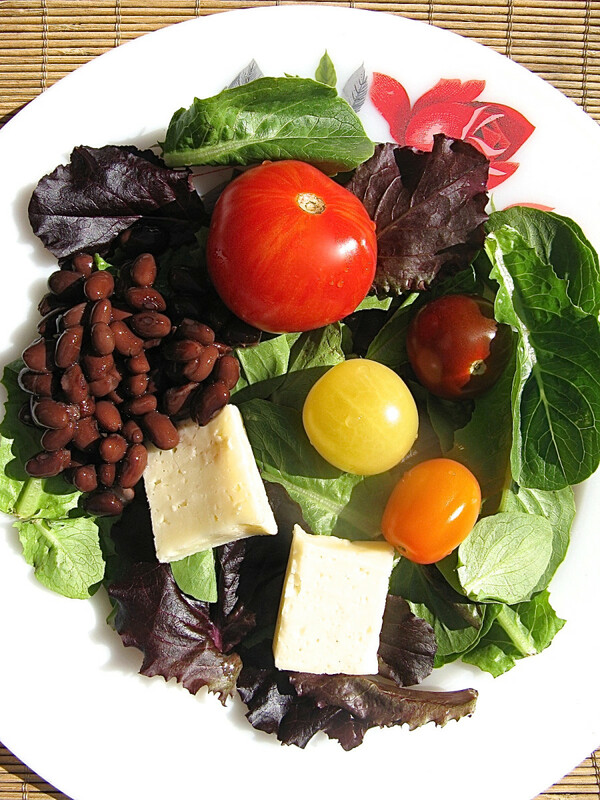 Most everyone can enjoy without worrying about calories or allergies. It is just very refreshing. This is especially true in the summer when I want something quick and easy-to-make that doesn't require a lot of heat to prepare it. 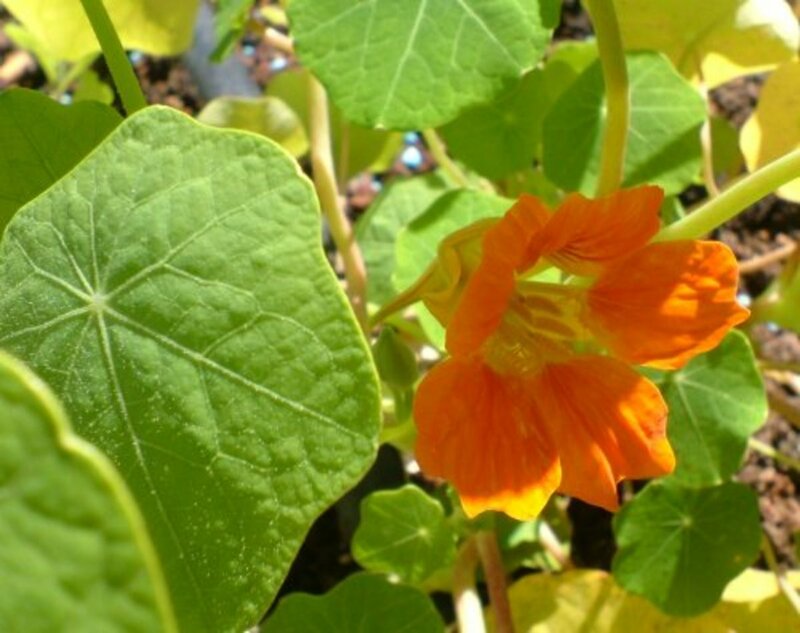 It takes about five minutes to prepare, requires no cooking, is very tasty, and can be used as a side dish or even be used as an entire meal. It is also a good choice for diabetics. The variety means that you can serve it several times a week with all different flavors. It can be a side dish or a main dish. I'm sure there are a lot of other things you could use besides what I have listed. In the Comments area below, tell me how you would adapt this to add variety. Feel free to also make other comments if you wish. This sounds like a wonderful salad side that could go with any meal. Terrific job. I'll add a few pieces of chili to make it more appetizing. 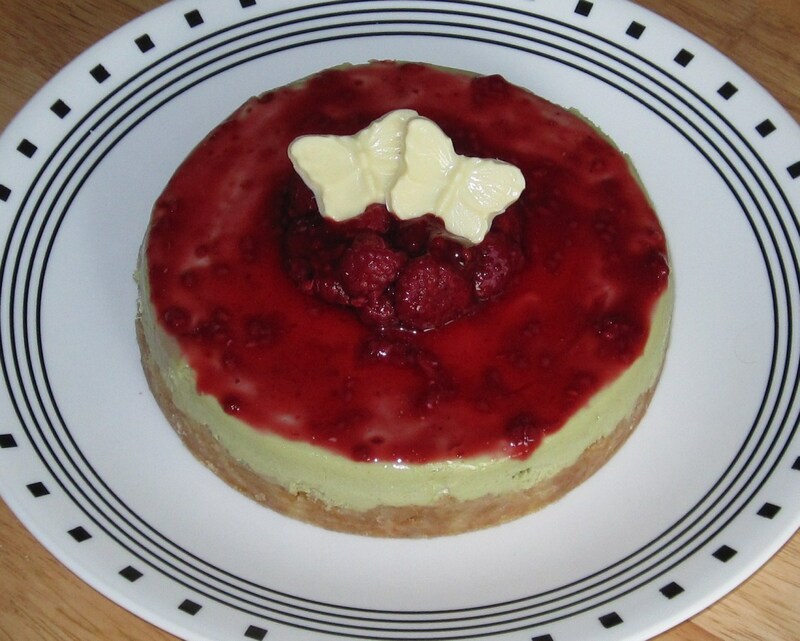 Thanks for posting this delicious-looking recipe. Delightful lens. Thank you for publishing it. That looks great - thanks so much! Great dinner ideas. Looks delicious and it's easy to prepare, too. @anonymous: Sounds good. I sometimes add some grated cheese of some sort and it does give it even more flavor. I might add some shredded cheddar cheese, but it looks delicious just the way you make it. It's great just the way it is. @Pam Irie: I've never tried cilantro but it sounds like a good idea.